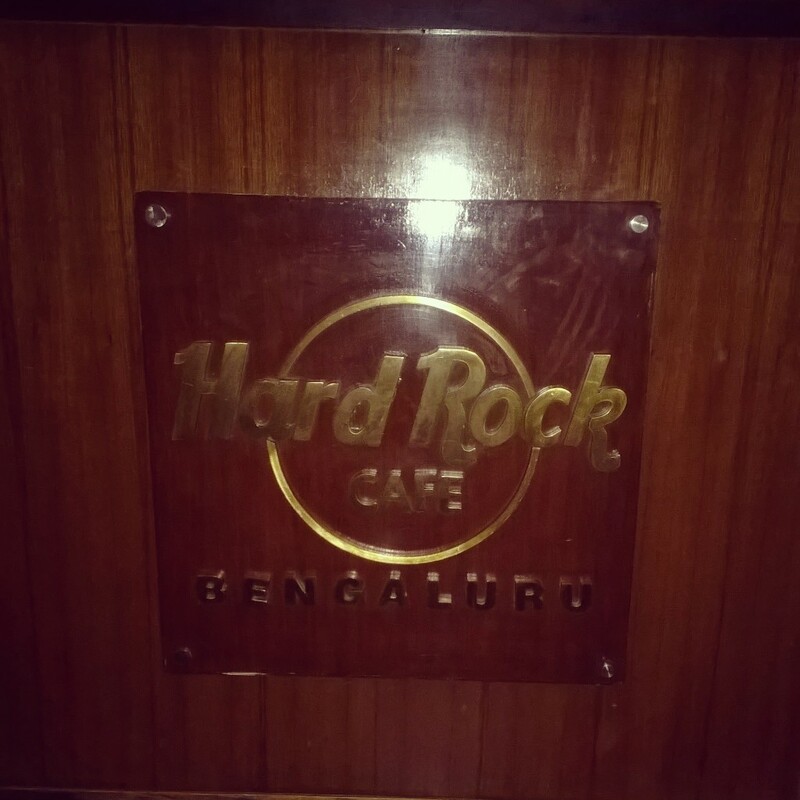 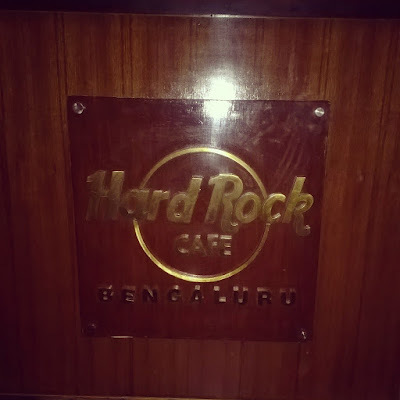 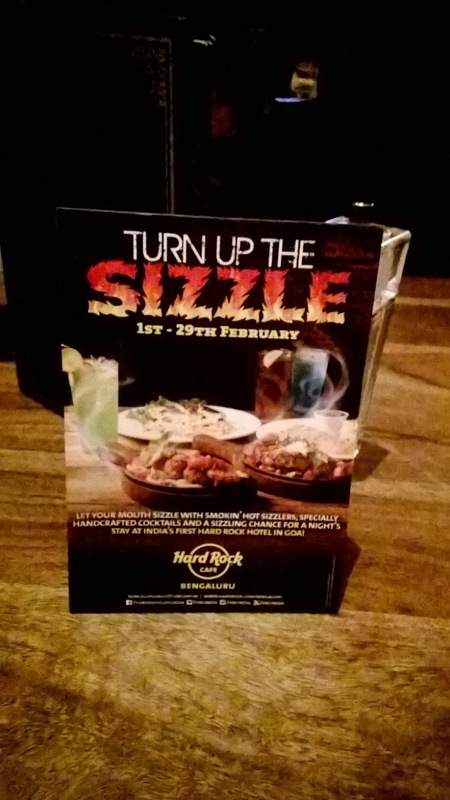 Hard Rock Cafe never surprises us with their food festivals and this month it's time to sizzle with the sizzlers. HRC, as fondly called, has come with a sizzler's fest, 'Turn Up The Sizzle', for the month of February and you can enjoy it till 31st March. 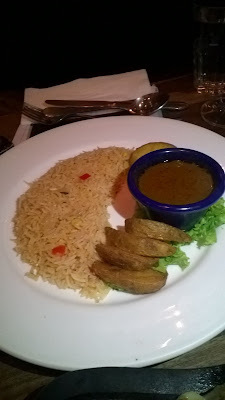 I tried out this food festival and here I am to share my experience with you. 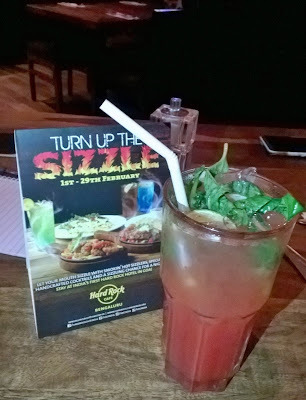 From the general menu, I sipped on Strawberry Basil Lemonade, fresh strawberry and basil muddled together with lemonade while I enjoyed my sizzling dinner. 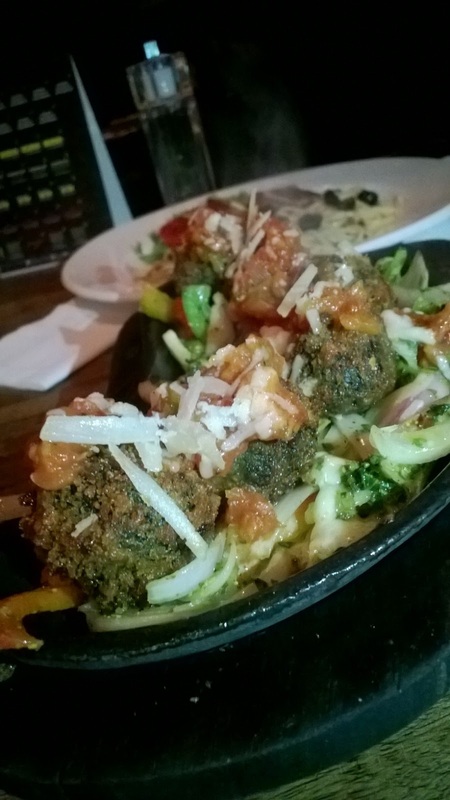 In veg option, I and my friends tried out Italian Mafia Skillet as my friend is very fond of Italian food. 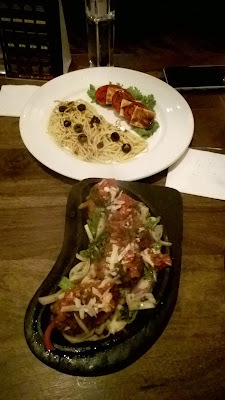 It had crispy spinach and cottage cheese croquette served on a bed of grilled chimchurri veg, served with caprese salad, spaghetti aglio e olio with cherry tomato ragout. I liked the presentation of the sizzler as the sizzler plate was not filled with all ingredients. I tried the Mexican Chipotle chicken and prawn skillet as I wanted to have something with sea food. 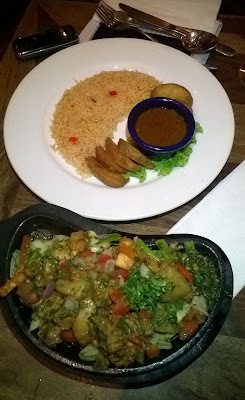 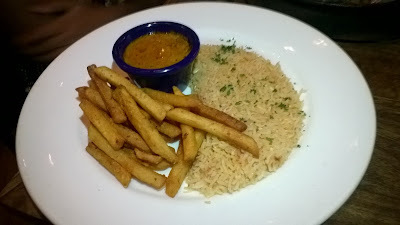 My sizzler had smoky chipotle spice grilled chicken and prawn served on a bed of fajita onion pepper which was served with crispy masala fried, tangy salsa and mexcan rice topped with smoked chili cilantro sauce. 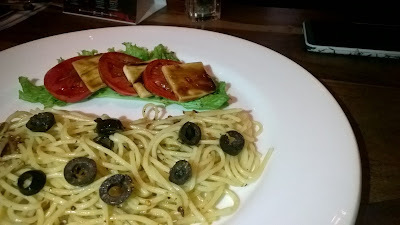 I enjoyed it and it was very filling too. 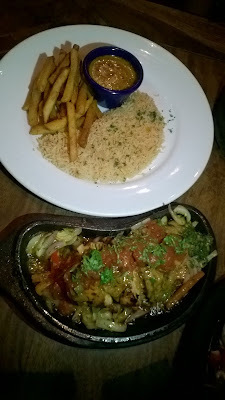 Lastly chef suggested us to try Portuguese style chicken skillet which was his speciality and recipe. It had spicy and tangy stewed chicken topped over charmoula grilled onion peppers served with cumin paprika rice and rusty potato wedges. 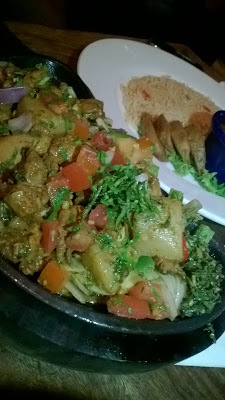 This was the best sizzler of the night. 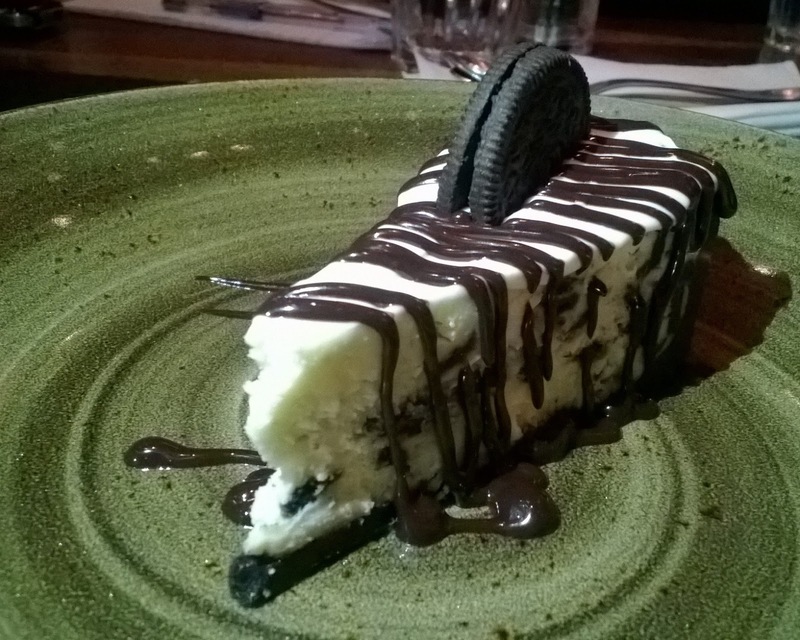 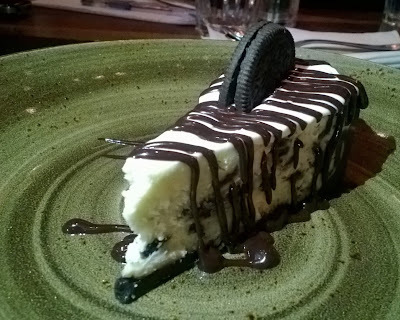 To wind up my dinner, I relished Oreo cheesecake from the general menu. 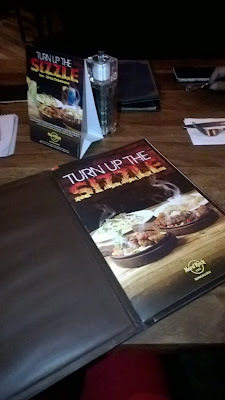 There are other options apart from these 3 sizzlers which you can try them at HRC. 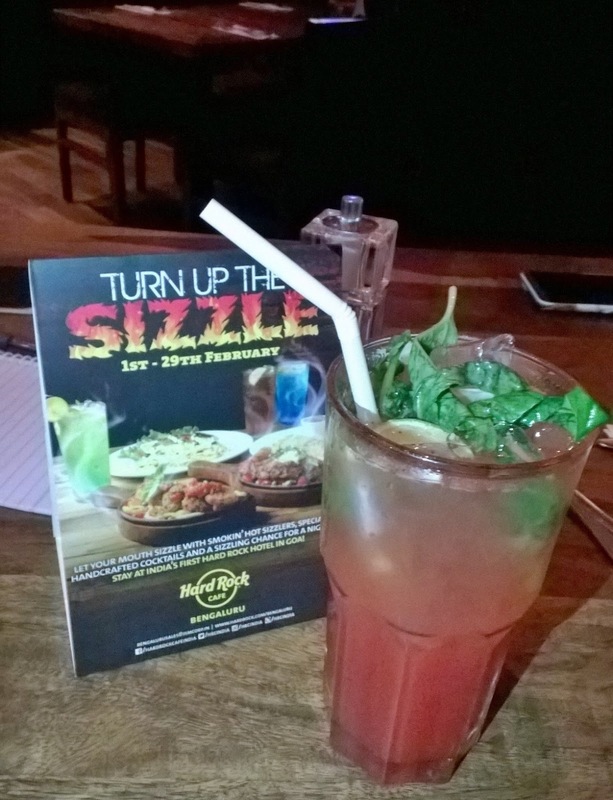 Enjoy the festival from 1st February to 31st March.